Only a woman can find the true meaning of life. 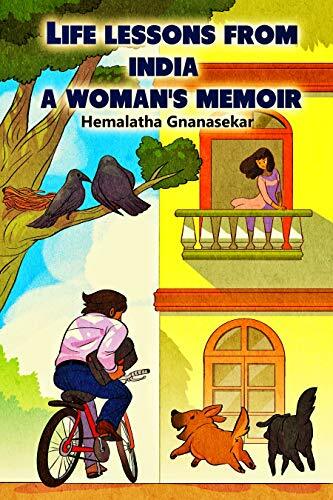 In this thoughtful and illuminating collection of essays, author Hemalatha Gnanasekar recalls the most consequential experiences of her life as a woman in India. These 16 thought-provoking essays are drawn directly from her own life, but their universal themes will inspire people of all backgrounds to find the deeper meaning in their lives as well. A chance meeting with a former teacher helped her understand that wrinkles and weight gain are a natural part of life. A Hindu religious ceremony's compelling feats of faith led her towards a greater relationship with God. And an encounter with vagabond gypsies helped her understand the true power of health over materialism. These and other life-changing stories are beautifully presented in this collection of life lessons. Told through the unique perspective of a woman in a society that still struggles with its treatment of them, these essays are full of hope, optimism and humor. And while they may be read in a short amount of time... their lessons will last forever.